Paramount Ranch has been the location of countless movies and TV shows over the past 90 years, including the HBO sci-fi western Westworld. 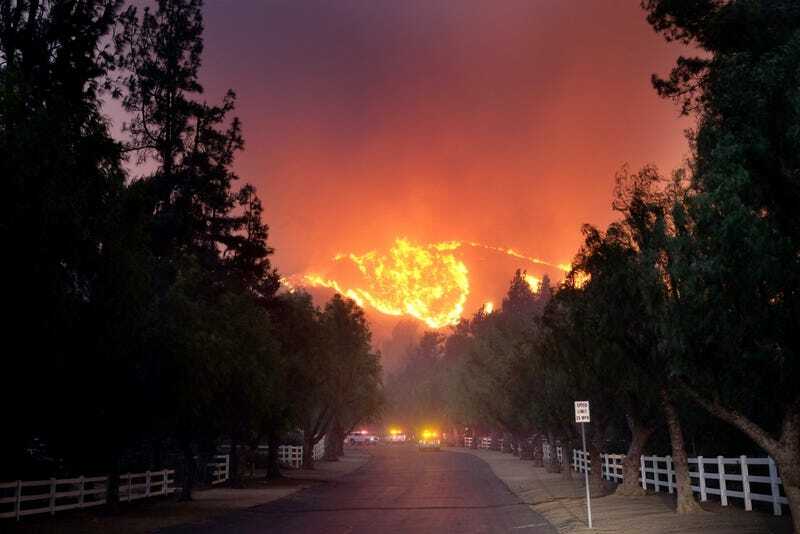 But that history has sadly turned to ash over the past 24 hours, engulfed by the flames of the Woolsey wildfire that’s devastating Southern California right now. Paramount Ranch and its fake “western” town have been the shooting location of everything from TV shows like Dr. Quinn Medicine Woman to the classic 1932 horror movie The Island of Lost Souls to some of the finest movies ever made, like the 1941 Preston Sturges film Sullivan’s Travels. The location is now managed by the US National Park Service and it’s a popular destination for locals to hike. The NPS was the first to break the news yesterday on Twitter that it had been destroyed. 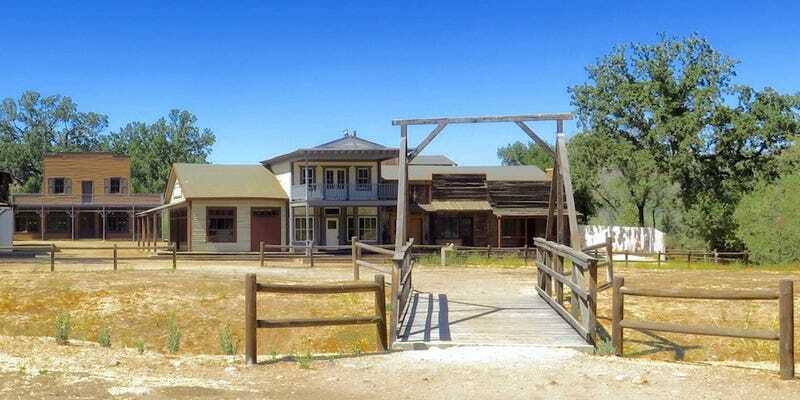 One of the coolest things about Paramount Ranch is that since it was a public park, anyone could just walk around and explore, provided that a movie or TV show wasn’t shooting that day. And plenty people did, given its close proximity to Los Angeles. 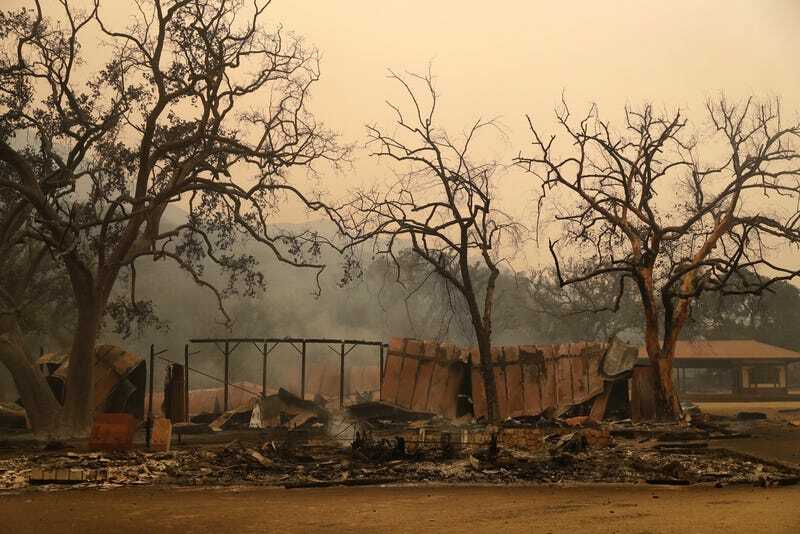 Based on the photos shot by the Associated Press yesterday, it appears that the only two buildings that are still standing are the fake church and the fake train station. As you can see in the photo below, the train stop on the far right looks largely unscathed. HBO released a statement yesterday about the location and its role in the development of Westworld. “Paramount Ranch was one of the locations used during seasons one and two of Westworld, in addition to the primary location at Melody Ranch in Santa Clarita,” an HBO representative told the Hollywood Reporter in a statement. 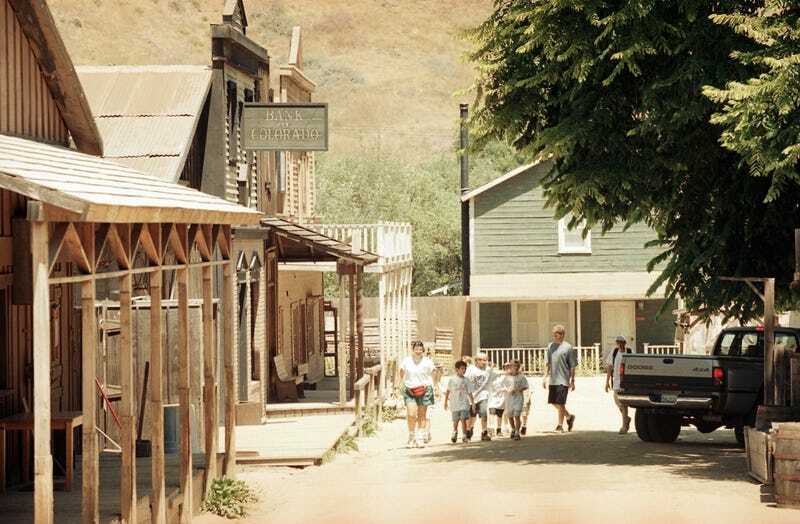 An old photo from the Associated Press shows what Paramount Ranch looked like back in 1998 when it was used for shooting TV shows like Dr. Quinn, Medicine Woman. The history of Paramount Ranch dates back to 1927 when Paramount Pictures first bought 2,700 acres in what’s now Agoura Hills, California to have plenty of open space to shoot movies. If you saw an old Western town on TV or in movies over the past century, there’s a decent chance that it was shot at Paramount Ranch. But the land wasn’t just for westerns. The rolling hills could play almost any location in the world, from a terrifying jungle to New England. From 1957 to 1980, the ranch changed ownership several times, but filmmaking continued. After purchasing a portion of the original Paramount property in 1980, the National Park Service revitalized the old movie ranch. From 1992 to 1997, Paramount Ranch was used as the setting for the television show, Dr. Quinn, Medicine Woman. Whether watching filming or exploring the area, experience the drama and grandeur of the Santa Monica Mountains. Before 1957, countless movies were shot at the site, especially if they needed outdoor sets with expansive, rustic hills. Sadly, most of that history has been turned into a smouldering heap. A partial list of the movies that have used Paramount Ranch as a shooting location over the years appears below. 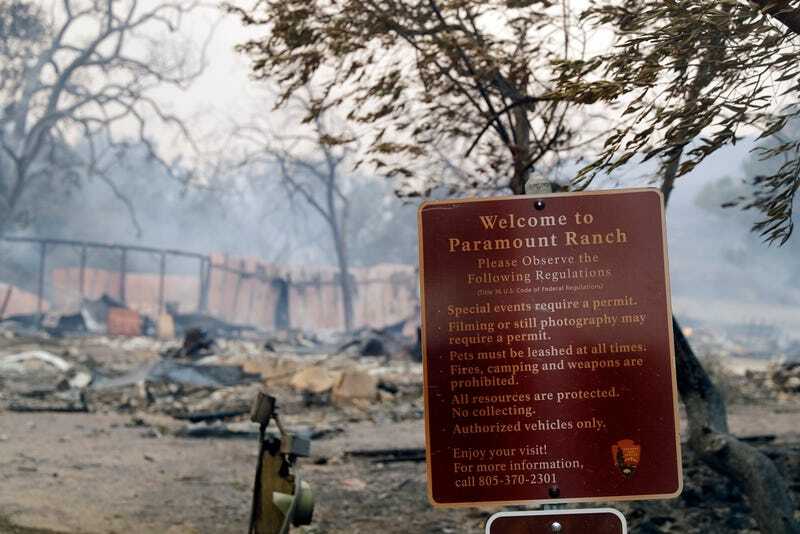 RIP Paramount Ranch. You’ve been an important piece of our shared cultural history and you’ll be missed.